This post is for the Whimsy Challenge for the month of September. The theme for this challenge is monochromatic. 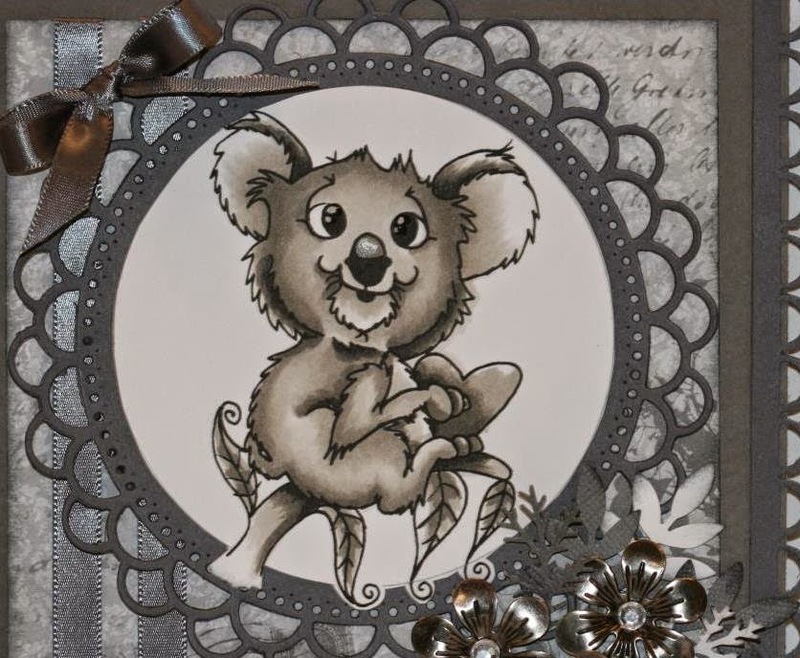 I choose to use this super cute image from the Whimsy store from designer Miss Rach called Aussie Koala Love. This image is simply adorable, she has a lot of new images at the Whimsy Store you should go check them out. Also you should check out all the wonderful creations for this months challenge. Click here to jump over to the whimsy challenge blog. Gorgeous and nice image, great layout, love the flowers too..way to go on the Monochromatic...now that is what it means....Wink, wink! Awesome!